Cried Alice! I'm just loving the new Wonderland Collage plate from Artistic Outpost and thought it would work wonderfully with Julie's inspiration photo for this weeks challenge at The Play Date Cafe! Don't you just love the bird cage! I embossed a piece of Black metal from Ten Second Studios with the Damask Folder, ran it through my Big Shot using the Tim Holtz Bird Cage Die, then sanded with a Dura Sand Block (pink), to reveal the silver underneath. 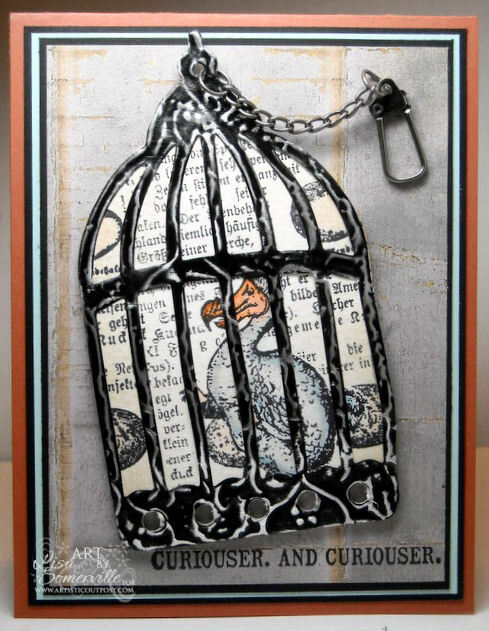 I thought it might be fun to add the DoDo from the Wonderland Collage plate to the birdcage, to fill in the background, I masked the image with Eclipse tape then added the Collage from the Artistic Outpost Birds of a Feather Plate. The image is colored using the Marker Watercoloring Technique, incorporating colors from the Play Date Cafe Challenge. 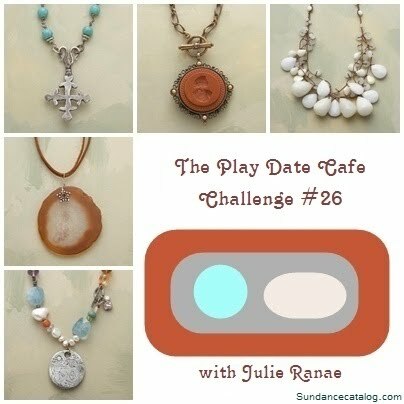 This week the Play Date Cafe is thrilled to welcome Mod Podge as the Sponsor, offering up this wonderful prize, and Jen Tappler as Guest Designer! Here's Julies's inspiration piece, isn't it great! I do!! I wasn't going to buy that die but am so glad I did! Love the added texture from the embossing folder. And that dodo in the cage just makes me smile! Love it!!! Love the way you've done your card Lisa, it's fab!!! What a great technique and that phrase is one of my favourites too! Lisa, this is absolutely fantastic, I love what you did with the birdcage. The distressing and the bird inside are perfect but I love your color layers!! Lisa, your card cracked me up. The dodo in the birdcage. It's fabulous. 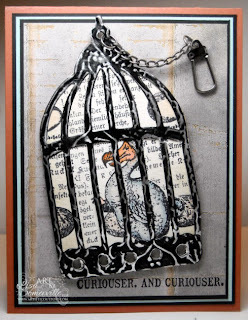 Wonderful card- the distressing on the birdcage is fantastic! I love the dodo bird in the cage. Will add that challenge blog to my list.....! Lisa, I LOL when I saw that you put the DoDo bird in the cage. Wonderful!! !I love FUN cards!!! What a wonderful centerpiece, Lisa! Love the fabulous bird cage with the metal showing through!! Fantastic design. I was wondering what bird you had in your card and love that it is a vulture and the sentiment is perfect. Love the dimension of that bird cage ... so far I've resisted, but I'm guessing it will be coming to my studio some time soon. Hello Lisa...I stopped by for a visit with Connie P. and loved the challenge pieces she created. Is the challenge open to newcomers? Is it posted to your blog? Would love to know and the day if it is open. Your blog is beautiful and look forward to returning. I have joined your followers list to that end. I invite you to join me as well, Lisa. Enjoy your day. Hugs, Gayle.